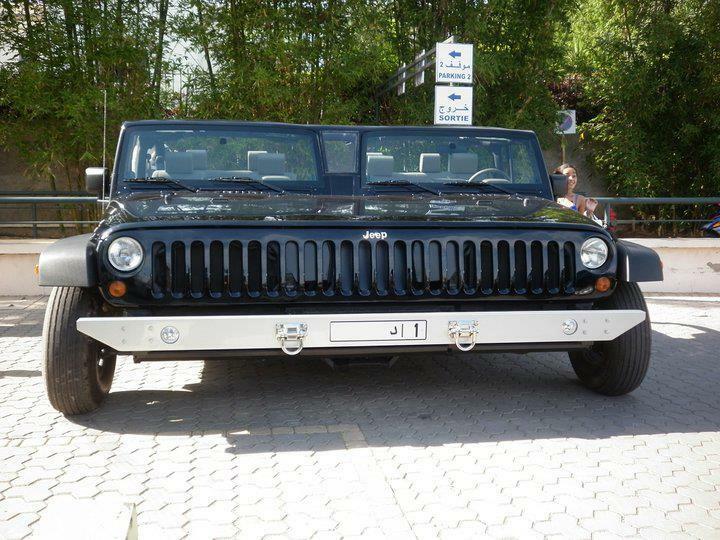 Here's something you won't see on the road in America: a double-wide Jeep Wrangler JK. This is supposedly owned by a diplomat in Morocco where he can apparently get away with just about anything. Carscoop, Yahoo Autos, Jalopnik have all published some more info on this one-off creation. Imagine trying to park it. And to think, TJ owners tease JK owners about the width of a single-wide JK! So please explain this to me are there supposed to be like two drivers on the wheel or something like that?And guys your literally overlapping,do you need your own free ways?Why would you come up with a design like this?Jeeps are supposed to be fun and this,this is just not it,free advice go back to the drawing board.It looks hideous.